Judges are the unsung heroes of the hunter world. 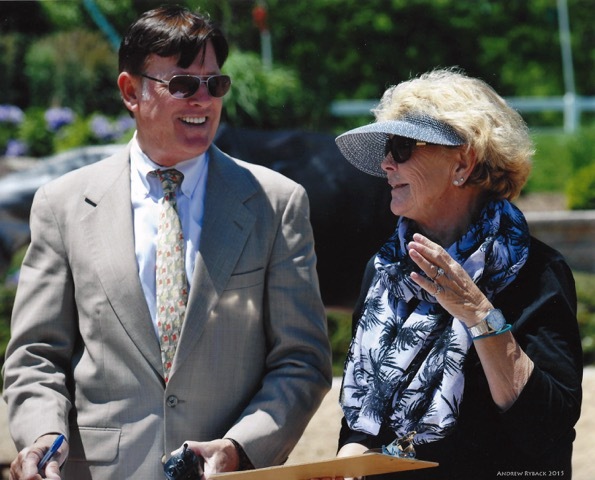 The amount of knowledge and dedication required to be a good judge is astounding, encompassing a lifetime of equestrian experience and intense show schedules sending them all over the country. While they put themselves at risk of being the object of skepticism from unhappy competitors, without them, the sport couldn’t exist. Dale Pederson is one such dedicated and skilled judge. 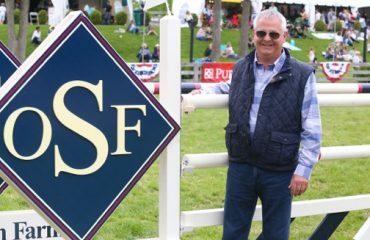 He has been judging hunter-jumper shows since 1980, but Dale’s been hooked on horses since he was 13 years old and a friend’s birthday party included a 30-minute trail ride. 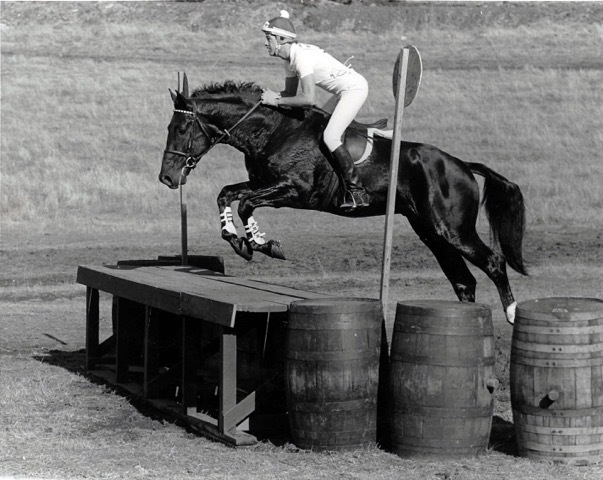 From then on, he found ways to ride, whether it was eventing, showing hunters or jumping. After finishing school and spending six years at a desk job, Dale set out to be a professional horseman in California. He added training, breeding, coaching and finally judging and being a clinician to his skillset. In 1982, Dale moved to the San Diego area and started Granite Hill Farm in Valley Center, California, where he still trains a few horses. 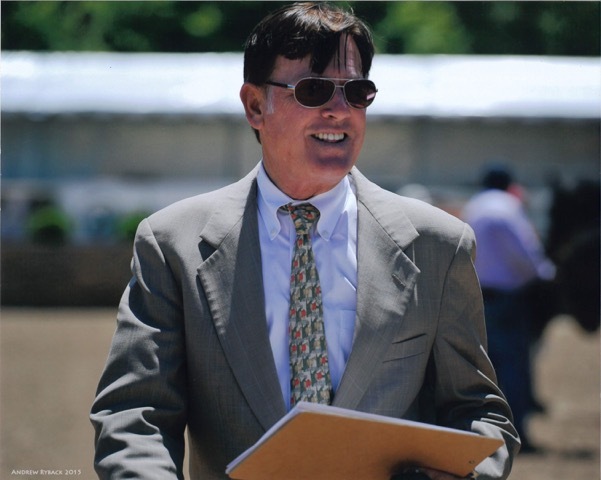 Since acquiring his judging license in 1980, Dale has judged most every major horse show in the country, including the Winter Equestrian Festival, Washington International Horse Show, Pony Finals, the Hampton Classic and more. When he’s not judging, Dale enjoys traveling to Africa with his partner, Jim. 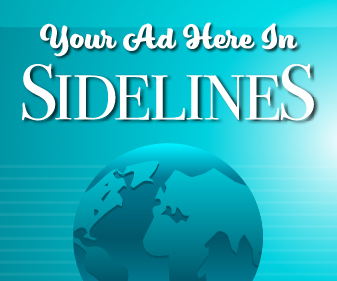 Sidelines had the pleasure of getting to know more about such a kind and experienced equestrian. After that birthday party where I got my first taste of riding, I was hooked and determined to have my own horse and learn how to ride it. I worked as a busboy at a local restaurant and saved enough money for my first horse: Trudy, a black Thoroughbred mare. They told me she was 12 but it turned out she was much older and I lost her after a year, so I got a horse that could do a little bit of everything from Western to English. I started competing on the local show circuit in northern Washington State, where I’m from. 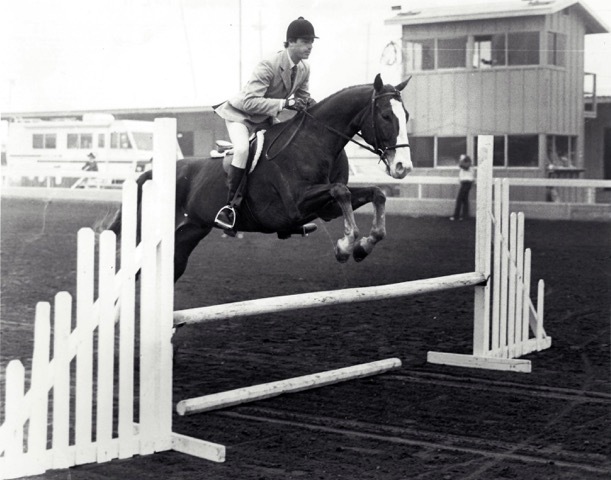 In 1970, I even won the Northwest Border Zone hunt seat equitation finals. After my first year of college, I moved to the San Francisco Bay area, where I went to school and worked as a waiter. One of the chefs and I got to talking about horses, and we decided that we’d buy a horse together and I’d do the hunters and jumpers and he’d ride dressage. That led to becoming an event rider and competing anytime I could. I was successful with a couple of good horses and worked my way up the levels. I finished school, got a full-time job and rode whenever I could. How did you become a professional equestrian? I worked at a steel rolling door company, in the accounting department. It was a good job. I worked 9–5 and rode in the mornings before work and in the evenings as well. Anytime I had a spare minute, it was dedicated to riding. I was able to show other peoples’ horses and it soon became too much to do both. In 1978, I had an opportunity to move to the East Coast and was able to do even more riding, so I packed up my things and moved to Rhode Island. After a year there, I went to North Carolina and was introduced to the world of hunters and jumpers on a much higher level. I was able to attend indoors and really get to know a lot more about how the business worked, and do as much riding as I could. Missing the West Coast, I moved back to California and went to work for an owner who had bred far too many horses and needed to get them broke, going and sold. That was a real eye opener, and I worked very hard. At the same time, I became friends with John and Lumpy Charlebois and rode some sale horses for them. John thought that I had a great eye for a horse and insisted that I apply for my judging license, which I did and received my “r” in 1980. What was competing like for you? 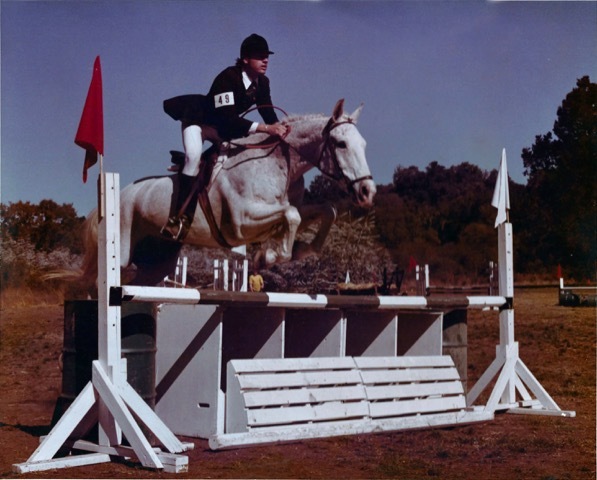 Competing was always exciting for me, but I’ll admit I was a bit of a nervous rider when it got time to head out cross-country, ride and remember a dressage test or jumper course, or ride a hunter round. I always wanted everything to be perfect, and that may have kept me from doing more as a show rider. I found my niche in training, riding the sales horses and teaching. What was your training experience like? We started a lot of off-the-track Thoroughbreds in the ’80s and ’90s. I really loved doing that. I learned a lot from so many people. I rode a lot of sale horses for Nancy Nordstom in the early ’80s, and she really got me going. 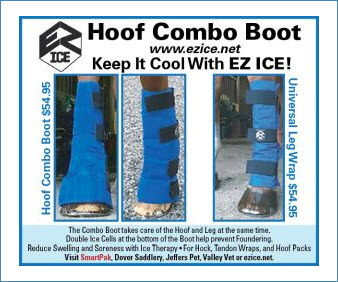 I’d run into problems now and then with certain horses and always looked for help from my many knowledgeable friends. Margie Hough was a great friend of mine and she was always my “go-to” person when I had a question or a problem I didn’t know how to deal with. Joey Darby was another friend that I got help from when needed and both would come to my place and tutor me on my own sale horses. I made up some good horses that went on to be top winners in the show ring. Since I couldn’t go out and buy myself a fancy warmblood when the craze got started, I decided to breed a few of my own. I was lucky to get ahold of a couple of good mares and had some success breeding, raising and starting a few. But as all of us that have bred horses for profit have learned, there is no profit. Yes, I sold a couple for what I thought was good money, but if you add up all the time you spend, you’ll soon learn that your hourly wage is next to nothing. It sure was fun having the babies around, though, and I still have one broodmare that I breed — a medium pony imported from New Zealand who has given me some beautiful babies that are out showing now. It’s so fun to hear when they do well. What’s your favorite thing about judging? I love judging horse shows and have been lucky enough to judge some of the greatest shows we have today. For me, it’s a little bit of giving back to the business that’s been so good to me. 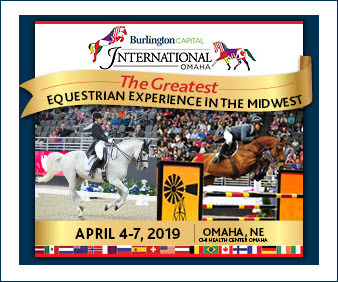 There’s nothing better than watching a good group of horses compete in a class where you get to decide which horse is the most talented, well-trained, nicely turned out and overall, the one you really want to see earn the blue ribbon. Yes, I’ve seen a lot of bad rounds in my life, as have all judges who judge as much as I do, but when you see that special trip, it makes it all worth it. 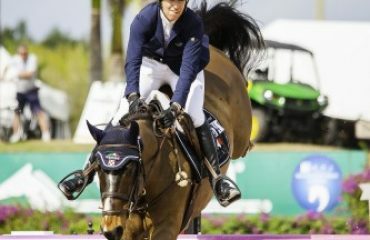 I get as excited as anyone when a horse jumps the first jump and you think to yourself, Wow, let’s see more of that! I also don’t mind judging the Short Stirrup or beginner ring, as you get to see the future of the sport. 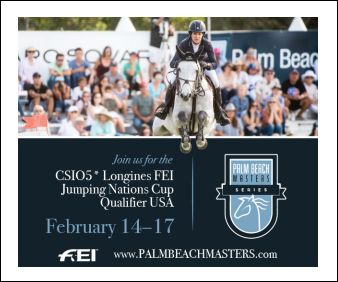 I can’t tell you how many times I’ve seen a rider while judging in the equitation and said, “This kid is going to be a great rider.” Kent Farrington is a great example. I judged him in the equitation at a show near Chicago as a junior and thought to myself, This kid is a talented one. Why do you do clinics? My real passion is to teach. I really enjoy teaching, and feel that I have a good approach and the ability to communicate with the riders. 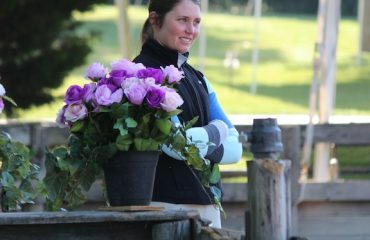 When I do a clinic, the first thing that I tell my students is, “If I’m able to teach you one thing that will help you with your riding, I’ve done my job. Hopefully, I’ll teach you more than one thing, but if you go away from my clinic a better, more knowledgeable rider, then I’m happy.” In my clinics, I try to incorporate the judging side of riding whenever possible and teach the “do’s and don’ts” of showing from the judge’s perspective. Being drenched by the water truck from head to toe while judging and wearing a nice suit and tie. 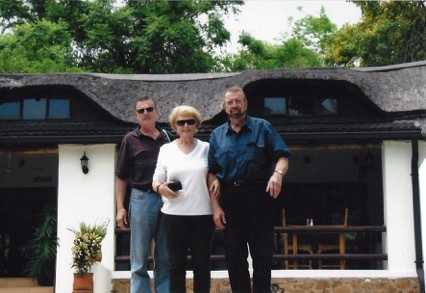 Dale, Jim and Bobbie Rebber in South Africa — Dale’s favorite place to visit. What one “old fashioned” hunter trend would you like to see return? No bling. It’s all about the horse. 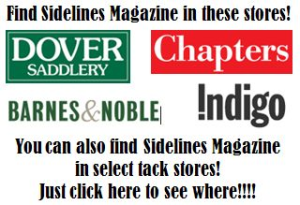 What’s your favorite tack store item to shop for? Gloves. And they’re now making lots of different styles for men. Fun! Judging a big class and knowing that you got it just right. If you could tell every hunter rider in the country one thing, what would it be? Use the entire ring and don’t go too slow. What horse, past or present, would you most like to ride just once? Bases Loaded. That horse looked so cool to ride when I judged him. He jumped so high, and so well, and I’d really have liked to experience riding a horse that has that much talent with so little effort. I think I could have stayed on. 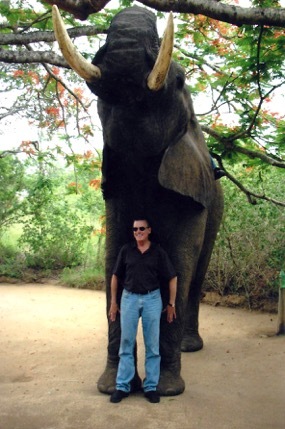 Dale with an elephant in South Africa. Jim and I were introduced by mutual friends. We’d known of each other for years but had never met. I’d spoken to him on the phone a few times, but still our paths never crossed until December 1982 when I was passing through Southern California and stayed at a friend’s place that was close to Jim. I called him to ask if we could meet for dinner or a drink, and the rest is history. He wasn’t a horse person and I liked that just fine. He was a brilliant guy — a zoologist, the director of the San Diego Zoo. How did Jim’s work bring exotic animals into your life? Jim was the director of the San Diego Zoo for 39 years. As the director, you oversee all the different departments as far as the animal collection is concerned. It was important to Jim for people to see animals that you might not see in other collections, so that they could learn more about exotic animals: where they come from and their habitats. Even though we only have six acres, we managed to have quite a collection of exotics here at our place. Whenever anyone came to look at a horse, they’d get the tour. I’ve been fortunate enough to be able to travel with Jim all over the world in the last 34 years. I’ve learned so much about animals and birds. It’s wonderful to travel with a guide that knows about every animal or bird you see. How many people do you know that have been to Siberia? Jim wanted to go to Lake Baikal to see the only freshwater seal in existence, and that was a wild and crazy ride for sure. We travel to Africa often, as it’s our favorite place to visit and you could never see it all. Each trip is different, and since 2002, we’ve gone every other year to some place in Africa, taking friends of mine with us so that they can enjoy the scenery with the best guide on the planet. There’s nothing like seeing the look on a good friend’s face when they see their first lion, elephant or other wild animal in nature. It’s so cool. Sometimes I feel like I’m more excited for them than they are for themselves. 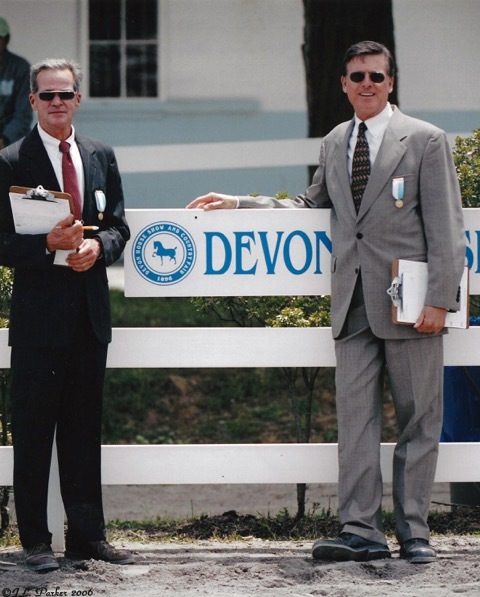 Joey Darby and Dale judging the Devon Horse Show in 2006. To continue to be the best judge I can be; to be fair, pay attention, and always award the best jumper. Also, to stay current, as the industry is changing like everything else, with science and technology. Through my clinics, teach the young people that horsemanship is important and that all young people should be able to do everything with their horses: groom, wrap, braid, tack up. I also plan to do some volunteer work. I haven’t decided just what that’s going to be, but most likely something to do with children and hunger. Too many children go to bed hungry in this world and that’s a travesty. We need to figure out how to spread the food around worldwide. We all know how much food is wasted every day in our country, yet people are still dying of starvation. Something needs to be done. The right spot for me will show up at the right time, whether it’s here in the U.S.A. or some faraway place. I’d like to make a difference if possible.